So just in case you thought this latest announcement by Jethro about moving his casino project was just his usual hot air, now comes the news that he’s sold the old Wal*Mart building in South Carson. This is the same Wal*Mart about which he said, “I can wait in perpetuity.” I guess perpetuity is about two and a half years. Actually, this is a good move for Jethro. It shows that he’s not really the stubborn fool that he’s made himself out to be over the last four years. Who knows how long he’s been working on a deal to get rid of the Wal*Mart. Even as early as 2005 he was talking about the possibility of moving to Douglas County. So behind all of his bluster, he really did realize that the battle for Carson City was lost and was trying to move forward. His timing was a little off (“I’m going to put a shovel in the ground in June , one way or another”), but even back then I think he knew he would have to sell out. And even if he never built his casino, the building turned out to be a good investment. Jethro (or his partner, John King) bought the building for $4.3 million and sold it for just about twice that, $8.5 million. So it was a smart deal even if the place sat empty for four years. And now the money from the sale can go into the new location in Douglas County. Maybe this time all the stars will finally line up for Jethro. And what about the Wal*Mart building itself? The new owner is a developer that specializes in taking old empty buildings and putting new tenants in. It’s too early to speculate what stores might be moving in, or even if it would be one big retailer, several small ones, or even an “outlet mall” like the article says. All I know is that this same kind of company bought the old K-Mart building at the north end of town, and was supposed to be working out the same kind of deal for it. They were even supposedly getting Kohl’s to move in there. Well, now Kohl’s has picked Riverwood in Douglas County, and the K-Mart remains empty. 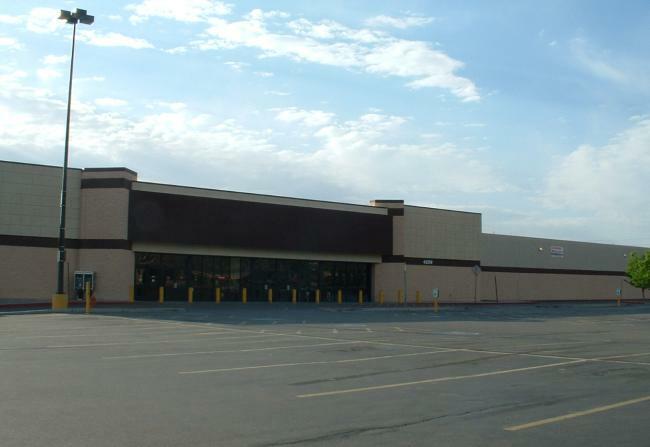 So maybe this news really means nothing for the old Wal*Mart building, and it will stay like it is for the foreseeable future. But at least Jethro has moved on, proving himself to be not quite so much of a grandstanding fool. Even the Letters to the Editor are on his side now.